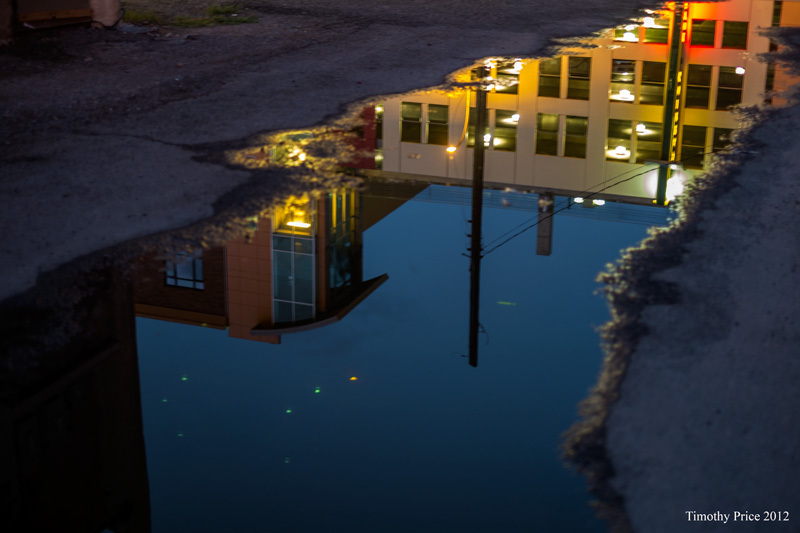 When I walked out of the office at dusk this evening, the reflections in the puddle from the afternoon thunderstorm were quite colorful. I don’t know an ascii code off the top of my head to make an upside down N, so I had to use a normal N in “Ne We I”. Sometimes you have to sacrifice the purity of a title when faced with limited time and a various technical issues.